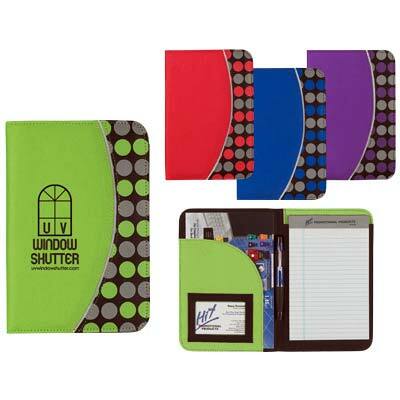 Custom Polka Dot Pocket Portfolios Personalized in Bulk or Blank. Promotional, Very Inexpensive. Budget Prices in the USA and Canada. Bulk Discount Colorful Portfolios made of sturdy Non-Wove material, on sale.We also supply blank (not imprinted) wholesale Colorful Portfolios for $3.25 each (minimum quantity: 50). Lowest cost in USA and Canada for wholesale Colorful Portfolios. American clients pay no taxes.